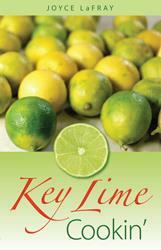 As everyone knows who’s tasted them, Key limes are a refreshing treat. A blend of tartness and a hint of sweet, Key limes have a bouquet unlike regular limes and is the only truly tropical citrus fruit. Its delectable taste lingers on the palate after a dish is finished, tantalizing the taste buds. Joyce LaFray offers a delicious array of recipes featuring Key limes, from cocktails and light appetizers fare to main dishes featuring seafood and poultry. And don’t forget the decadent desserts—including 11 variations on Key lime pie, of course! Enjoy recipes from such beloved Florida restaurants as Joe’s Stone Crab and Pier House, as well as home favorites including fresh trout with Key lime butter, Key lime ceviche, and Cuban Key lime chicken. Joyce LaFray is a food critic, author, lecturer, and spokesperson. She is also the author of numerous cookbooks and the founder of Seaside Publishing.